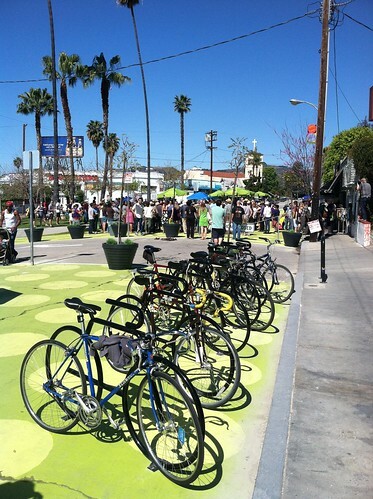 Update: Sunset Triangle Plaza and its accompanying bike corral are now open! 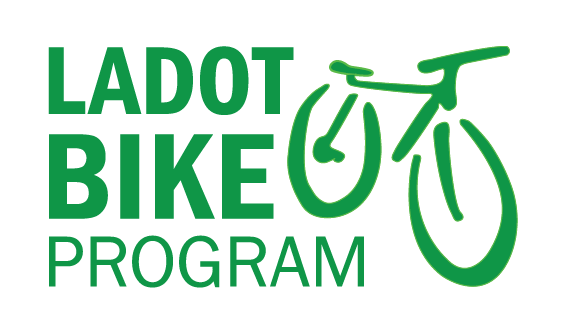 If you know a commercial district that could use a bike corral, please fill out our interest form and let us know. LADOT has installed the City’s second-ever bike corral as a part of Living Street L.A.’s Sunset Triangle Plaza Pilot Project. The Plaza, opening this Sunday, March 4th, is at Griffith Park Blvd between Edgecliffe Drive and Maltman Avenue. Be sure to visit Living Streets L.A.’s website to find out more about Living Streets L.A. and their Streets for People initiative. Grand opening festivities are scheduled to take place from 11 AM – 2 PM. Below the fold, more on our latest bike corral.